Make a grand entrance! 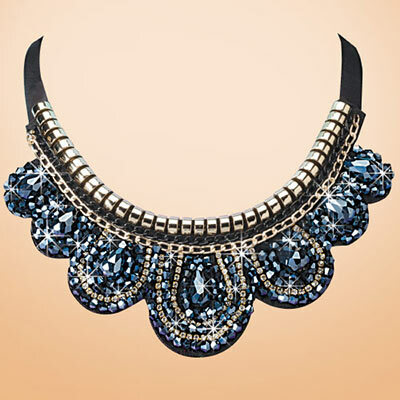 Bold black beading and a dramatic bib style make a statement. This Dramatically Beaded Necklace features faceted marcasite-colored stones that are accented by clear crystals on a felt backing and ribbon ties. Imported. 38"l untied.